Tightly bound leather slices through the air. Jab, jab, duck, uppercut, the boxer’s mind rehearses with mechanical precision. Suddenly, a collision of momentous force changes the dance when the boxer's padded glove meets his opponent’s sweat-slicked cheekbone. “KO!” someone shouts as the boxer with empty eyes drops to his knees and, what seems to be in slow motion, falls to one side. Boxing is a not a sport for the faint-hearted. These carefully trained athletes wait with rhythmic shifting patience to find an opening in their opponent’s stance to land the goal of their performance — a knockout. The sport revolves around attack and defense moves akin to that of a chess player. They adhere to an old code set forth by the 1867 Marquess of Queensberry rules, which outline the dos and don’ts of the match. But boxing is much older than the British-made rules. Its birthplace can be dated back to 1500 B.C., on the island of Crete, neighboring Greece. However, some hieroglyphic scriptures allude to Egyptian participation in the sport as early as 4000 B.C. After hundreds of years of refining the sport, it became an essential part of the 686 B.C. Olympics. Ancient matches lasted until one of the opponents, with wrists and hands wrapped in braided soft leather straps, becomes seriously injured. The Roman Empire took it to the next level and armored their straps with copper and iron brackets, and ended the fight with death. Today, contestants, matched in weight and ability, fight to land bows hard with an arsenal of jabs, all while dodging their opponent's retaliation, according to the Encyclopedia Brittanica. They win by either outscoring their opponent with accumulated three to 12 three-minute rounds, or until they’ve incapacitated their opponent. On Saturday, Floyd Mayweather and Manny Pacquiao will face each other in the ring with that exact objective. The fight brings together arguably the best two boxers in the world, which is a rare occasion to have two champions in the same weight division at the same time. Since 1996, Mayweather, has left the ring undefeated in 47 professional fights and has won five different weight class world titles. Out of the 64 fights Pacquiao has taken on since 1995, he’s only lost five and taken home six different weight class world titles, and two minor belts. The chips are stacked, tens of millions in prize money to be won, and pay-per-view records to be shattered this weekend, as 16,000 will fill the MGM Grand Arena. 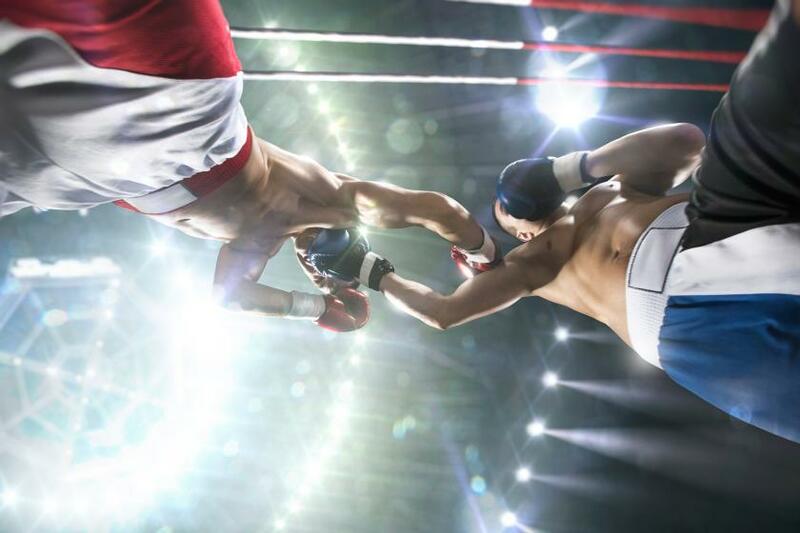 The highly anticipated fight may give boxing its spotlight back, since its popularity steadily declined since the 1980s — considered the sport’s last golden age in America. It has receded from the public platform at a time when head injuries have been brought to the forefront of concern in professional athletics, football in particular. While there have been helmet alterations, rulebook revision considerations, and panel discussions on how to protect the football player’s brain better, boxing has seen none of it. Football’s policies have the potential to prevent future head injuries, but boxing without head injuries is like football without a ball. The sport thrives on glove-to-head contact. As the paragons of boxing prepare to enter the ring this weekend, we wonder what damage their brains are likely to face at the mercy of their adversary’s aggression. Within the protective casing of your skull is a soft, mushy organ bathed in blood, laced with arteries, nerves, and veins. When you take a blow to the head so impactful it knocks you unconscious, a neurochemical reaction begins in the brain cells that cause cell death. The more cells that die, the fewer brain tissue you have, according to a study published in the journal Neurology. It may explain why people who suffer from head injuries are never quite the same afterward. It all depends on how long they were knocked out, and more importantly, how severe the hit was. A professional boxer’s punch can generate speeds of 25 miles per hour and reach up to 32 mph — a force of approximately 400 kilograms. To put into perspective the immensity of a boxer’s power, the average person, without any boxing training, can generate only one-tenth of a professional’s force. The impact of a KO-quality punch often leaves its victims with memory problems, mood changes, confusion, and a slower information processing speed. Brain volume is lost in the frontal and posterior brain regions’ white matter, which is the tissue that makes up the brain’s communication network essential for efficient processing. Even if it’s a seemingly minute five- to 10-percent loss, it will have a large effect on the brain, according to experts. The infamous knockout is the pinnacle thrill of the match, and without landing a gloved hand, the boxers' performance results lackluster. In fact, the earliest quote from a first century pugilist recorded into Greek literature said, “A boxer’s victory is gained in blood.” With millions and the glory of greatness at stake, Mayweather and Pacquiao will be looking for blood and brain damage.